Marko's 58' Lobster Fishing Vessel. Recent main engine repower with a V12 Doosan 1200HP and 13 KVA Onan Generator. 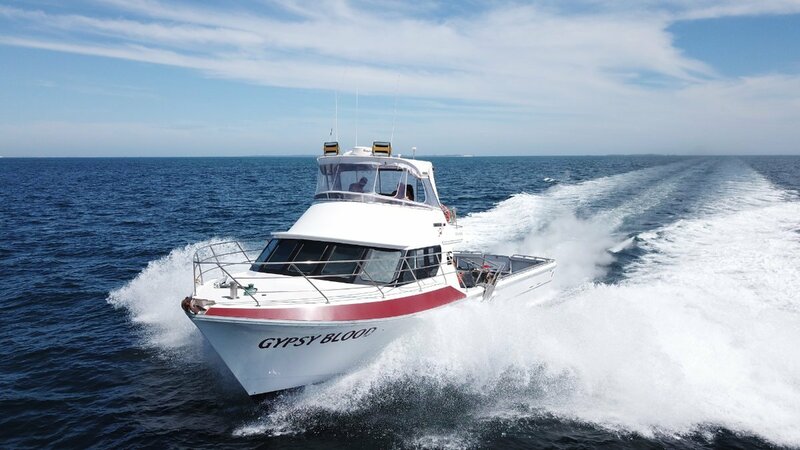 This fishing vessel has been meticulously maintained from new and presents excellent. Great live tank capacities for 20 baskets below deck and a day tank above deck to carry an extra 12 baskets when required. Live tanks can be run using the genset or main engine. 4000L capacity for diesel, 300L water tank. Great electronics package offering 3 working steering stations. Currently set up with the flybridge station as the main working helm with Furuno FCV1100 sounder and Raymarine hybrid touch screens. The Marko's hull is a well renown performer in open water. Please enquire with Oceaneer Marine Brokers for full inventory and more details or to book in an inspections. Please call (08) 92436373 or email sales@oceaneermarine. Com. Au.